Currently I’m in the process of buying a home and selling my old one. As a result I’ve been searching around for some new financing as well and this has lead me to look into my credit score to see how well it’s doing. Now if you’re like me, you like to wait till the last minute to do things and this can be a huge problem when it comes to improving your credit score. The main reason being that in most cases for you to improve your score it’s going to take some time for this to happen. However there are things you can do to improve your credit fast and in this article I’m going to show you a few things I’ve done. The first thing you need to do is check your credit score over for mistakes of any kind. What you should know about the credit bureaus is that they are prone to making errors. As a result this will give you a chance to dispute the incorrect information and possibly improve your score. Below are a few common mistakes found on credit reports. Related Names. If your name is very common your information could get crossed and you could end up with someone else’s mistakes on your credit report. This happened to a close family member a few years back; in fact it got so bad that he was receiving collection calls for unpaid debts. Identity Theft. Another way typical mistakes end up on credit reports is by identity theft. If someone is able to steel your identity without you knowing about it you could end up with large amounts of debt and unpaid bills that could eventually get reported to the credit bureaus. Family. The final common mistake that people end up seeing on their credit report is between family members. This can happen when you have a father and son who might have very similar names or in some cases it could be identity theft as well. The most common forms of identity theft happens when a close family member steals the identity of another simply because their financial information is so easy to obtain. I should also mention when you have a mistake on your credit report you just have to contact the credit bureau to have it remove. However if you have any legitimate derogatory marks on your report there is no quick way to remove them. The next step on improving your credit score is to reduce your debt. When the credit bureaus look at your credit score they are going to consider two main factors, the total amount of credit available and the total amount of debt you have on those credit lines. For example, in my case I have a total of $8000 in total credit available in a given month. Currently I have a total of $900 of debt on my credit lines. This equates to around 11% of my total credit is being utilized which is very good. However if I were using more than 50% of my available credit it would hurt my credit score far more. So what should you do? Form a plan to pay down critical debts such as your credit cards. Don’t worry about your mortgage or auto loans. By cutting down your credit card debt you will be able to expand the total amount of credit you have and improve your credit score faster. Finally, the last thing you can do to build an excellent credit score is to raise the amount of credit on your current credit lines. Doing this tends to boost your credit the most. The reason for this is because it has to do with credit utilization. 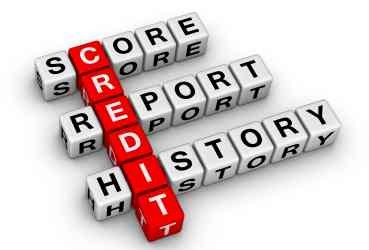 As I explained earlier the more credit you have and the less debt you carry on your credit lines the better your score will be. However this may be the hardest of the three methods, simply because if you have a low credit score it’s going to be hard to convince your creditors to up your credit limit. So what should you do? Once you’ve completed the first two tips contact your creditors and ask about increasing your credit limit. If they won’t do it consider giving it some time to improve your credit and call back 6 months later. As a final thought consider these ideas to speed up repairing your credit, however if you’re not sure if these ideas will improve your credit score check out CreditKarma.com. There you can get a free copy of your credit report and score but what’s great about Credit Karma is that they have a score simulator that allows you to test these different ideas before you actually implement them. To see if they work for you check your score today. Very good points! Also, you should never close out a credit card. If you leave it open so it still shows on your report, you will positively affect your utilization and in turn increase your credit score! Credit Help: I actually have a credit card like that right now. I had a marathon gas card with MasterCard and they recently ended that particular program so MasterCard automatically enrolled me in the Chase Freedom card. My wife wanted to close the account but I informed her to leave it open especially since we are in the middle of buying a new house. One caveat, though. Be careful that your credit card company doesn’t do a “hard pull” of your credit report when you request a credit limit increase. If they do, it shows up as a “hard” inquiry on your credit reports, and will LOWER your score, neither are things you want to have happen when you’re applying for a mortgage. FIA/Bank of America has done this to me most recently, but any creditor can. Good point about keeping the percent of credit utilized low.From what I know of the mortgage industry, they like to see less than 25% of the credit limit outstanding on average.